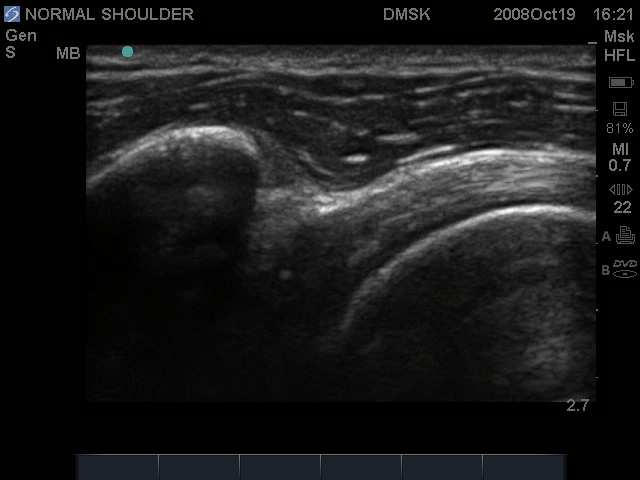 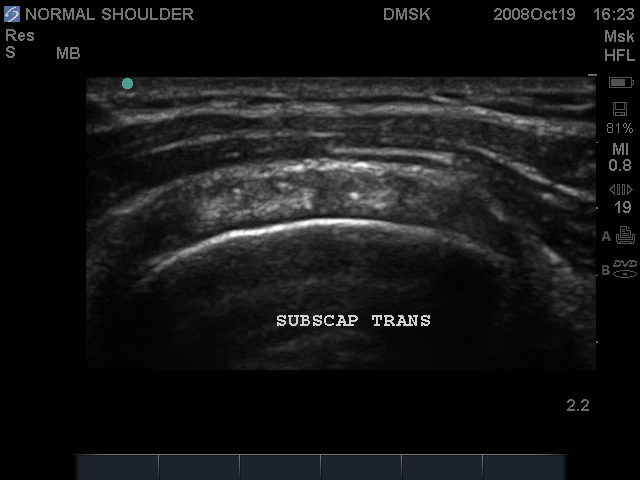 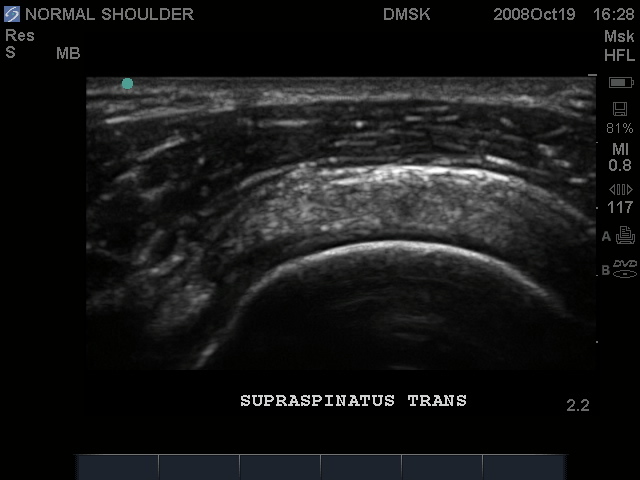 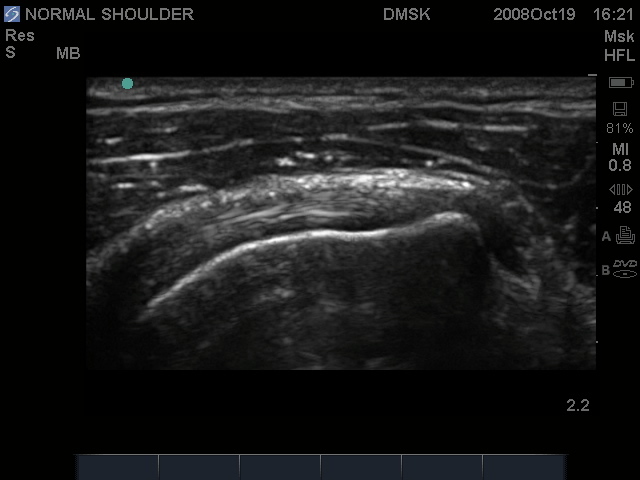 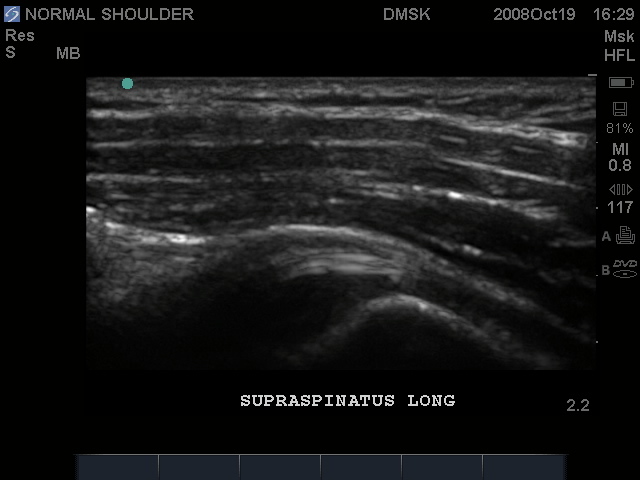 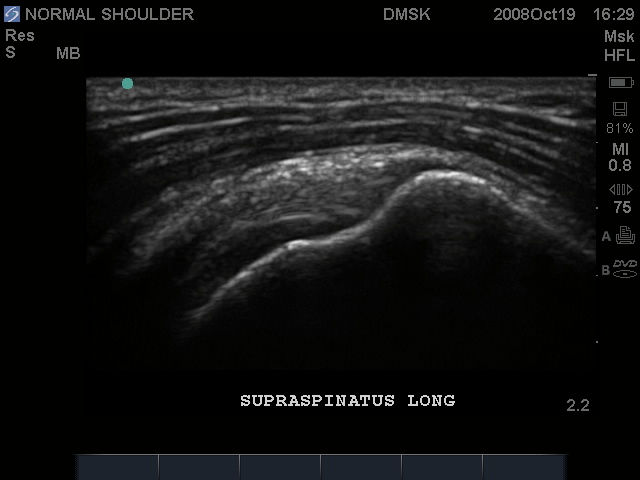 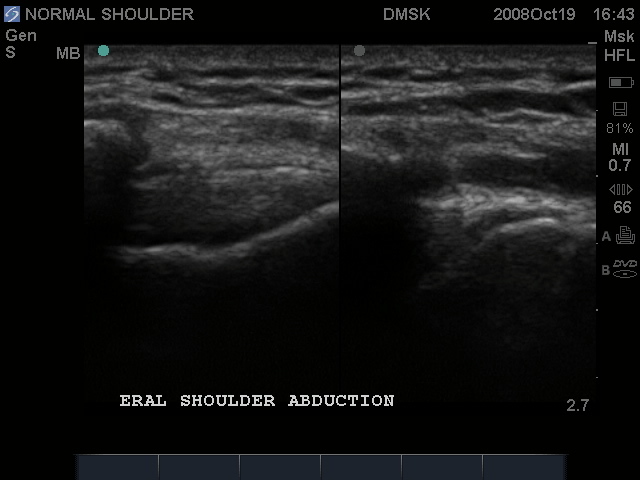 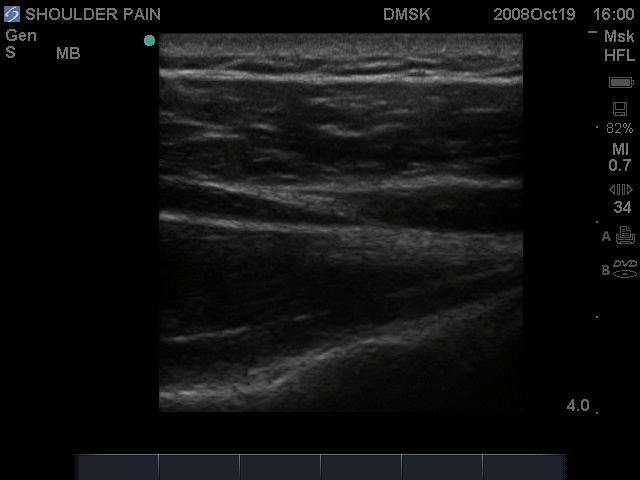 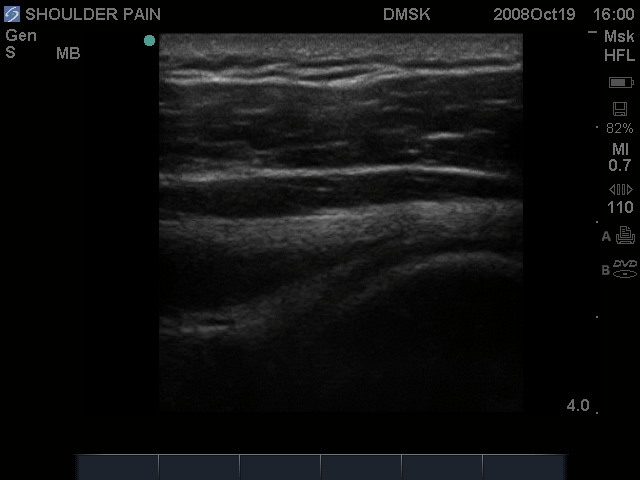 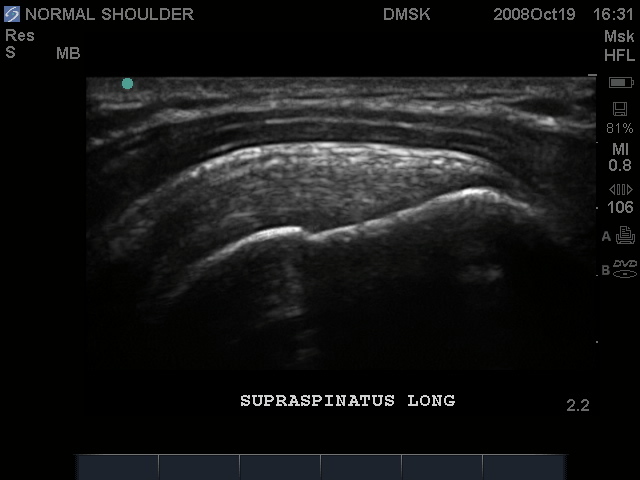 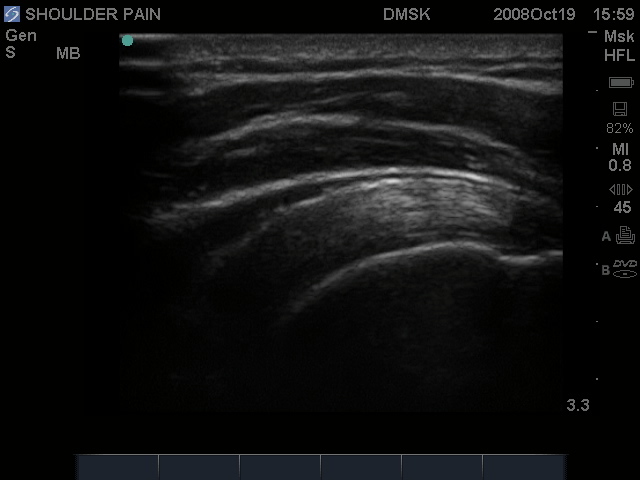 shoulder exam is likely the most common application of ultrasound in MSK. 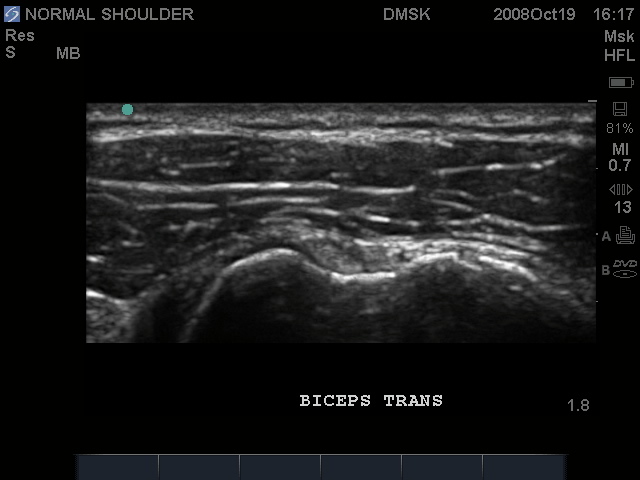 much of those techniques are still in practice, only the technology has improved. 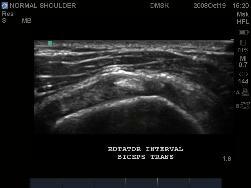 principle scanning method is highly reliable in detecting Rotator Cuff pathology. 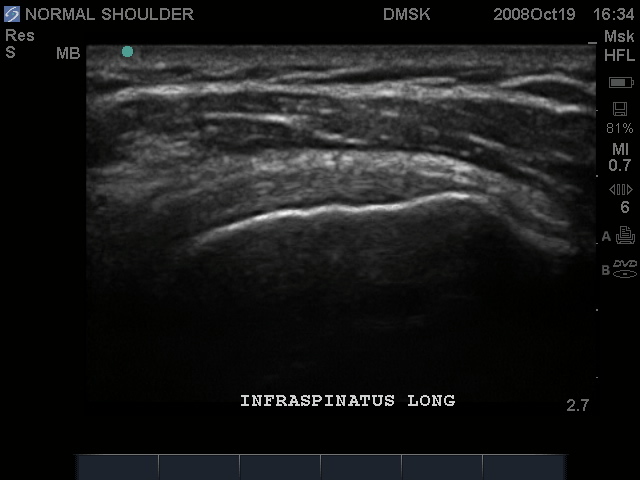 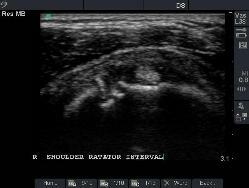 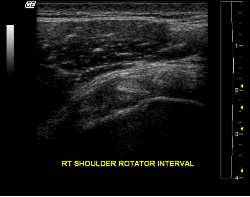 Normal image of Rotator Cuff Interval. 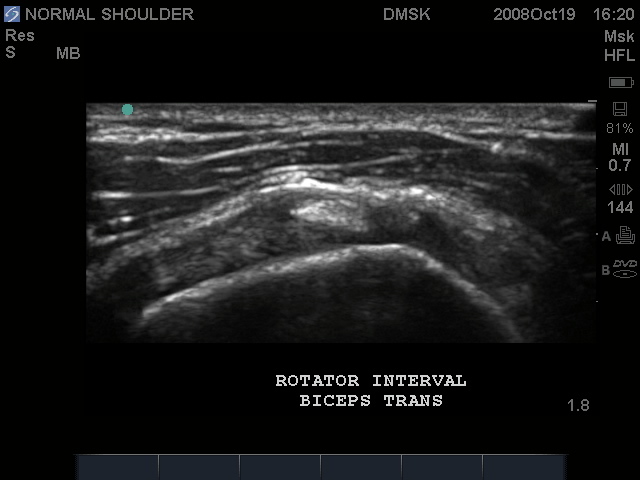 Posterior Glenoid labrum studies with dynamic studies. 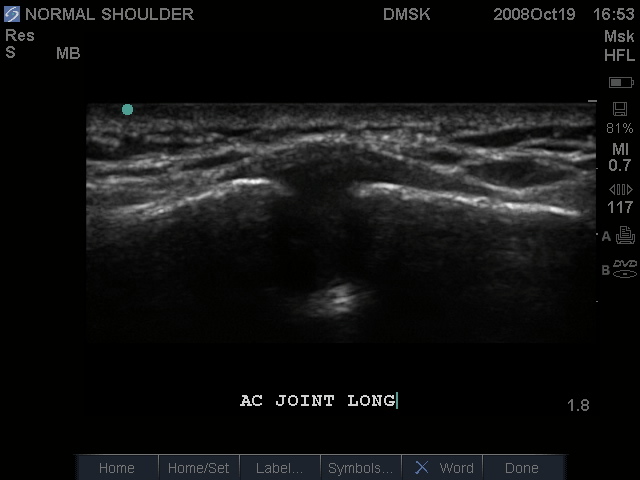 When in doubt, assess the contra-lateral extremity for comparison.